New archaeological finds are being made all of the time, and the purpose of this article is to record those finds which have been made so far this year (April, 2016), and to add others throughout the rest of the year as more artefacts are found and identified. 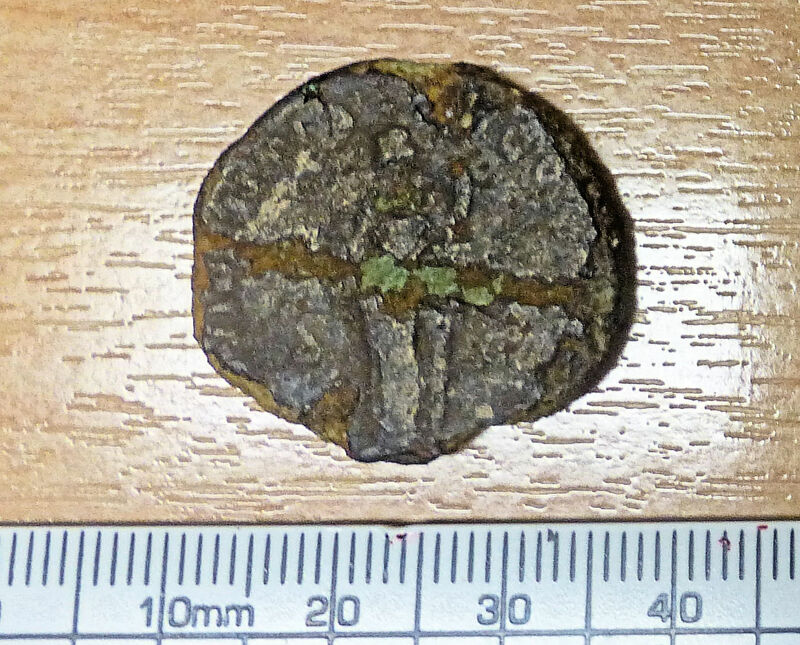 Probably the most exciting find this year so far is a Roman coin which at 150AD would seem to be oldest coin ever found in the Swanbourne area to date. It was found by a metal detectorist who had permission to prospect in a field off Avey Lane. It is provisionally identified as a sesterce of faustine circa 150AD. Faustine was a Roman Empress and wife to her maternal cousin Roman Emperor Marcus Aurelius and her great uncle was Hadrian. Roman pottery has previously been found in field ditches in the same part of the Parish by Ken Reading. This proves that Romans were in the Parish, but the village itself is still thought to have been founded in Anglo-Saxon times. The other finds reported so far this year have been in the Charlton Close area near Smithfield End, comprising of a series of fragments of late Anglo-Saxon, Saxo-Norman transition and Medieval pottery. Some examples of pot are pictured here. All of the pot fragments found date between approx. 800AD to 1350AD and all are characterised by a thick pot shell which is unglazed and either blackish or brown in colour. 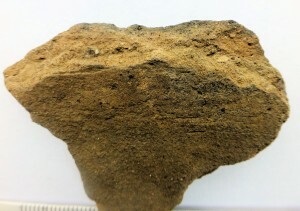 all of the fragments show a pot texture whereby distinct sand grains or crushed fossil shell fragments are contained within the pot fabric itself. This is typical of the late Saxon to Medieval type of pots, and are not seen in later pots, thereby aiding identification and dating. 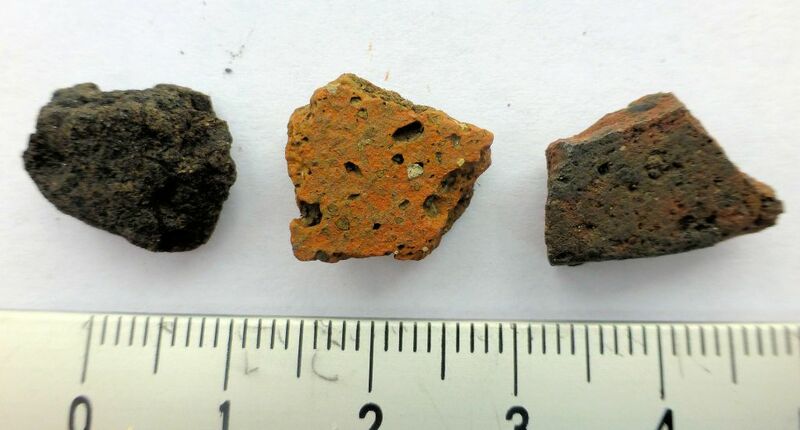 Most of these fragments of pot probably represent large cooking pot fragments. 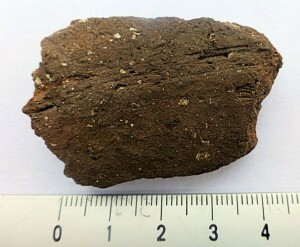 A grass fragment impression on one fragment implies an Anglo-Saxon grass tempered hand made pot which could date from around 800AD. Repeatedly finding pot fragments such as these in the same part of the village proves habitation of Swanbourne over the last 1300 years. Three early medieval gritty sandyware pot fragments.